Marijuana is still illegal under federal law. But a state court has told an employer and an insurance company to cover an injured worker’s medical marijuana. Gregory Vialpando suffered a low back injury in 2000 while working for Ben’s Automotive Services in New Mexico. In 2008, a workers’ comp judge determined Vialpando reached maximum medical improvement, and it was agreed he had a 99% permanent partial disability. A doctor described Vialpando’s pain as “high intensity, multiple-site chronic muscle, joint and nerve pain … followed by failed back surgery.” The doctor said Vialpando’s pain was some of the worst he’d seen in his years of practice. As a result, Vialpando had been taking multiple narcotic-based pain relievers and anti-depressant medications. In 2013, Vialpando filed an application for approval by the workers’ compensation judge (WCJ) for medical marijuana. 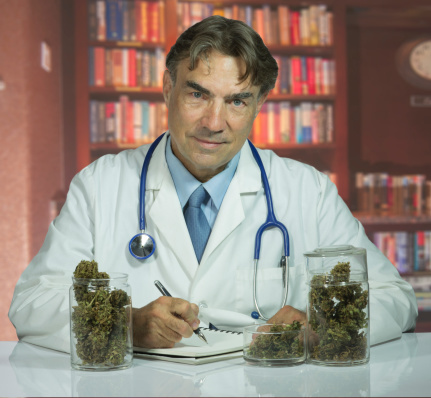 Two doctors certified him for the medical marijuana program. The WCJ found Vialpando was qualified to participate in the medical marijuana program authorized by New Mexico’s Compassionate Use Act. The WCJ ordered Vialpando to pay for the medical pot, and Ben’s would reimburse him. His employer appealed this decision. Ben’s took its case to the Court of Appeals of New Mexico and argued the WCJ’s order was illegal because the company would be required to violate federal law if it reimbursed Vialpando for his medical marijuana. Despite medical marijuana programs in 21 states, the U.S. Controlled Substances Act still considers pot to be an illegal drug. The court noted the U.S. Department of Justice has identified eight areas of enforcement priority for marijuana. Outside of those priorities, the DoJ said it would defer to state and local authorities. Medical marijuana use wasn’t listed as an enforcement priority. The DoJ also recently informed the governors of Colorado and Washington that it would defer its right to challenge laws allowing recreational pot in those two states. The appeals court upheld the WCJ’s order. This sets up a situation in which workers’ comp insurance will pay for an employee’s authorized medical marijuana … at least in one state. What do you think about the court’s decision? Let us know in the comments section. No relief after wrist surgery: Can injured employee get more comp benefits? Worker tripped on sidewalk while going to lunch: Did she get workers’ comp? Wow, let’s get this straight. In every state employers can terminate employees for marijuana use, including those where marijuana is legal. Federal laws still make marijuana illegal in every state but the federal government will not prosecute it in states where legislature has made it legal. Failing a post incident drug screen for marijuana can still affect whether you will receive workers comp benefits but now, in at least one state, workers compensation will pay for an injured employees marijuana. There needs to be some clarification on this. 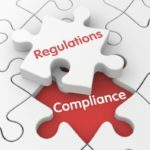 The laws are changing too quickly and this piecemeal, state by state, interpretation is going to cause a lot of headaches for businesses and safety professionals to manage. another story that plays into this is where a court found that just because a drug test comes back positive it is not an automatic refusal of work comp you have to basically prove that the drug use directly affected or contributed to the injury. If you cant prove that but they still tested positive they may still get work comp. New Mexico is a liberal state so this doesn’t surprise me. Like the saying goes, you can’t fix stupid. Having lived with someone that was dying and had many physical problems some caused by side-effects from drugs prescribed to help another problem I have seen what Medical MJ can do. At the time (now more than 8 years ago) when my partner sill lived out of desperation MJ was tried. To my surprise the nausea became almost non-existent, the pain meds more effective, sleeping was better, the patient was able to participate in their own treatments (had been a trained Chef and started cooking again) the appetite improved to a normal level. I had my partner the love of my life again to live with me in life not in the house suffering. I unfortunately do not get benefits from MJ just as alcohol made my medical problems worse if it did work I would use it. I know I know I am completely aware of all the discussions regarding drugs the benefits vrs the damage they do but it is very hard to live with a medical problem in particular medical problems that involve continuous intense pain. Pain itself can cause absentmindedness and really foul attitudes thoughts of suicide hysteria depression etc. I speak from my own experiences as well as from watching and caring for a person who is terminal. It is really hard to be in bad shape yourself and have the love of your life suffering and unable to have any life at all. I also learned the hard way whatever improves the quality of life is worth it and suffering is not the way to enjoy and live life. BTW I fought my way back to work and continue to work. However my attitude of pain will clear up if ignored has changed just as my attitude to pain medication and MJ have done an 180 degree turn around. I see no sense in making or allowing something you can change destroy what life you have.